When your sewer isn’t draining properly, it can be a major headache. Although it might be easy to assume that the problem is a simple clogged drain, it could be any number of different problems ranging from small leaks to majorly damaged pipes. For many years, it was difficult to discern exactly what problem might be plaguing a private sewer. Fortunately, modern technology has increased to the point where we can send a sewer video camera down to discover what’s wrong. 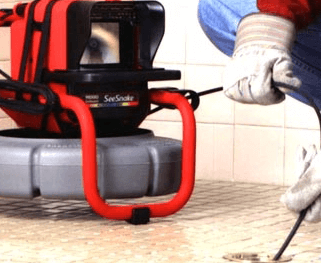 JB Plumbing and Rooter has taken advantage of that technology and is proud to offer their customers a Sewer Video Inspection service. A plumbing inspection camera is a fiber optic line with a high definition video camera attached that can be snaked through a plumbing line to provide a clear picture of what is going on within. For those looking for a plumbing service that employs high tech tools like sewer video inspection and other state of the art methods, look to JB Plumbing and Rooter.